One of my first ever blog entries on this Blog was about EcoTools and I recently bought a new EcoTools brush set to add to my collection. 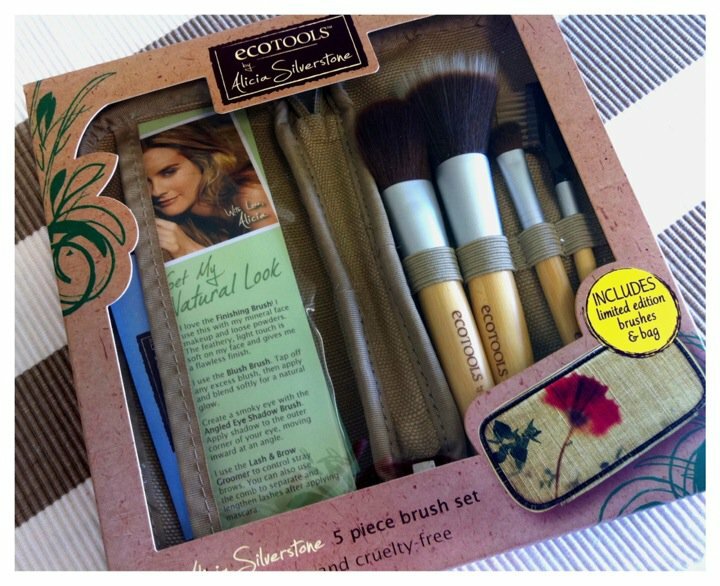 I got the EcoTools by Alicia Silverstone 5 piece Brush Set. 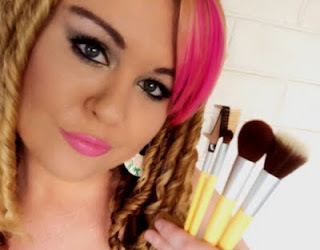 I love this Brush set because I am a huge fan of fellow Vegetarian Alicia Silverstone, I support cruelty free beauty products and these brushes a extra kind to the environment. The brush handles are made of Bamboo (a sustainable material), the base of the brush head is made from recycled aluminium and the soft bristles are synthetic taklon; 100% cruelty free and vegan. The matching cosmetic bag designed by Alicia is made from a cotton and hemp blend with a beautiful floral design inspired by nature. I love the Finishing Brush! I use this with my mineral face makeup and loose powders. The feathery, light touch is soft on my face and gives me a flawless finish. I use the Blush Brush. Tap off any excess blush, then apply and blend softly for a natural glow. Create a smokey eye with the Angled Eye Shadow Brush. Apply shadow to the outer corner of your eye, moving inward at an angle. I use the Lash and Brow Groomer to control stray brows. You can also use the comb to separate and lengthen lashes after applying mascara. 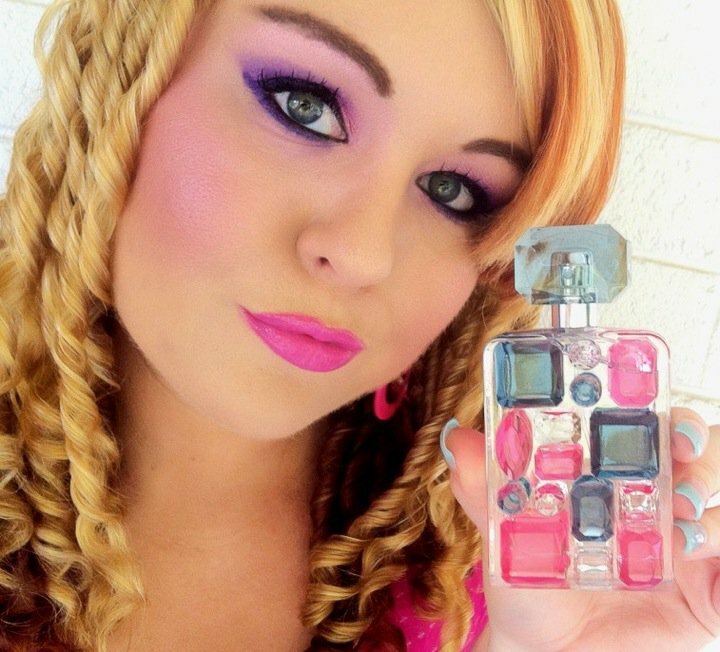 When I was working as a professional Makeup Artist - I worked in Myer department stores as a fragrance consultant. Spritzing fragrance all day everyday I learnt alot about the perfume industry. Today on my Youtube channel I'm showing you a few of my favourite fragrances from my collection. 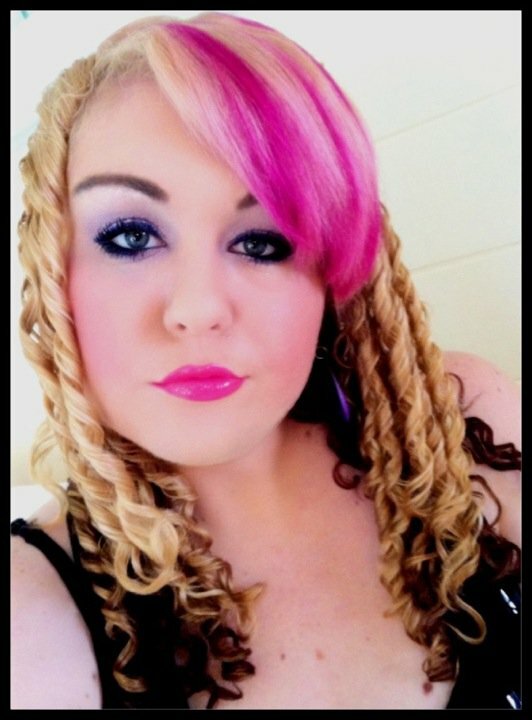 To celebrate my new Pink Hair... 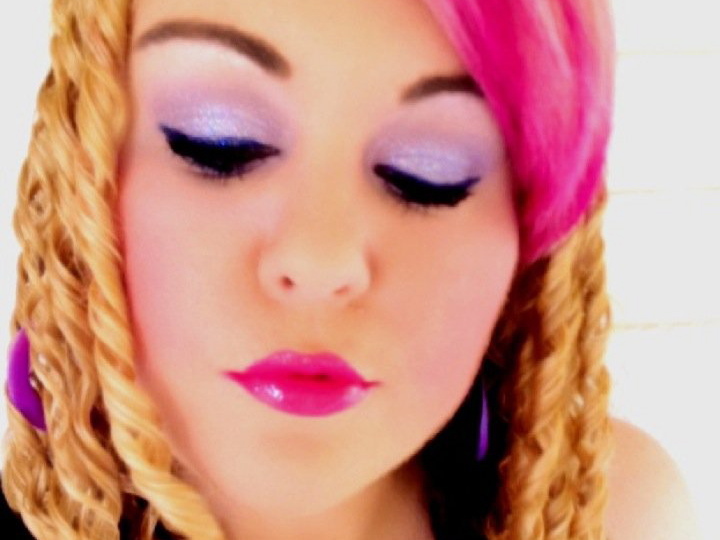 I created this Mauve and Magenta Makeup Tutorial featuring glittery mauve eyes with bright magenta lips. Last week (for a nice change) I decided to add Hot Pink highlights to my fringe! 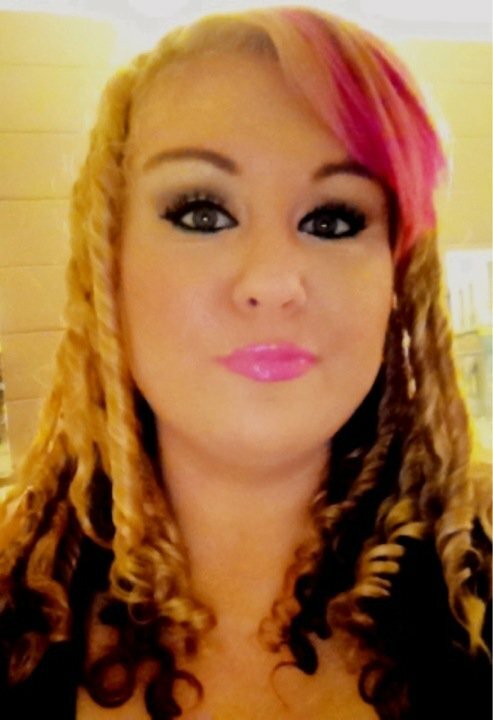 Special thank you to my gorgeous friend and hairdresser Kathy Richardson who applied my colour for me. 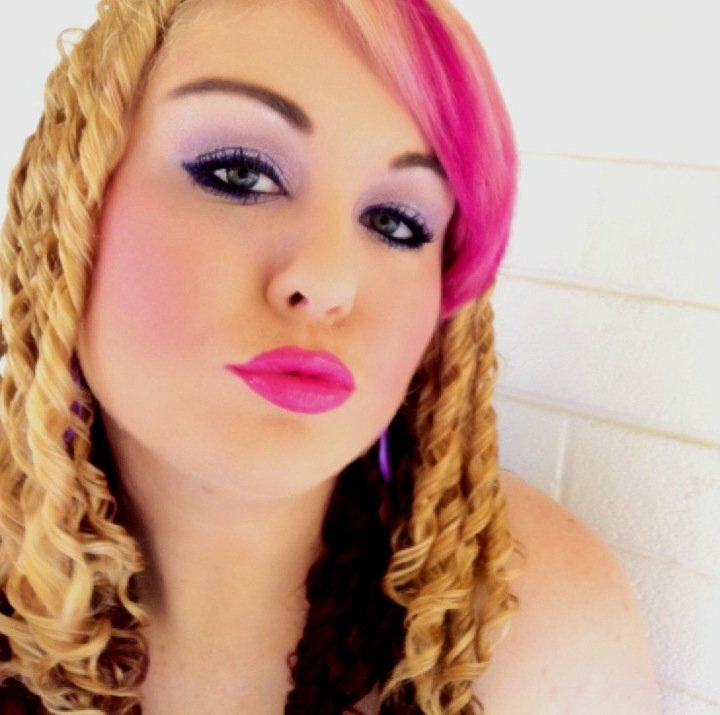 Since having my new "Pink Hairdo" I have received so many nice compliments from friends, followers and even strangers in the street. It's a really fun and festive change and a true expression of my love obsession with the colour pink.